Excited to be presenting Careful at the Aesop Conference on the 19th April. This is the second year of this high profile event which introduces arts and health projects to healthcare decision-makers. Headliners include Bobby Baker, Darcey Bussell, Patsy Rosenberg and the wonderful Performing Medicine. a lovely performance today at the Rose Theatre, with a post-show discussion featuring nurse educator Sally Richardson, nurse historian Dr Sue Hawkins and director Alex. Delighted to share Careful with its first audiences in the Darwin ward at Kingston University. We put our audience members – nursing staff and students; leading experts in theatre and in theatre and health and to friends and family IN THE PATIENT BEDS! Huge thanks to everyone who came and who gave us feedback. Please put the Performing Science conference in your diaries: 23rd – 25th April at the University of Lincoln. Alex (Chimera’s PI) has been helping conference organiser, Andy Jordan, with the programming – and I can reveal that there is an amazing line-up, including special events, performances, workshops and presentations. I’m particularly excited that playwright MICHAEL FRAYN will be there – his play Co enhagen is a major landmark in the emergence of more alternative forms of science plays. We also have CARL DJERASSI, the father of the contraceptive pill and probably the most prolific writer of and about theatre and science. His latest production will be launched at the conference. Presentations spread the gamet from the history of ‘traditional’ science plays to post-dramatic/post-human engagements with, for example, bioscience and the latest developments at CERN. We’re bringing Bloodlines to the event (Thursday 6.30pm), and Alex is chairing a panel on performance and the biomedical. We are so pleased to see a wave of upcoming events happening around science and performance/art. Here are a few we wanted to share. April is going to be a busy month! 23 – 25 April 2014: Performing Science: Dialogues Across Cultures. Lincoln School of Performing Arts, University of Lincoln. The deadline for the Call for Papers is Feb. 6th. This conference is being co-produced with Chimera and PI Alex is on the organising committee. 24 – 26 April 2014: Cognitive Futures in the Humanities, 2nd International Conference. Durham University. Part of an AHRC interdisciplinary research network led by Peter Garratt. More info here. 2 April 2014: Embodied Cognition, Acting and Performance at AISB-50, Goldsmiths. This is a one day symposium which is part of the society for the study of Artificial Intelligence of Simulation of Behaviour 50th annual convention. The Call for Papers deadline is Feb. 1. 14 March 2014, 9:00-17:30: Matters of Life, Death and Medicine Conference. Arnos Vale Cemetery, Bristol. Booking info here. 10 March 2014, 17:00-18:30: Praxis and Practice: Science as Art. Cambridge Interdisciplinary Performance Network. More info here. The centre for Cognition, Kinesthetics and Performance at Kent has a number of interesting upcoming speakers and events. In other news, the December 2013 edition of Interdisciplinary Science Reviews is a special issue on ‘new directions in theatre and science’ edited by Carina Bartleet and Kirsten Shepherd-Barr. Further details here. 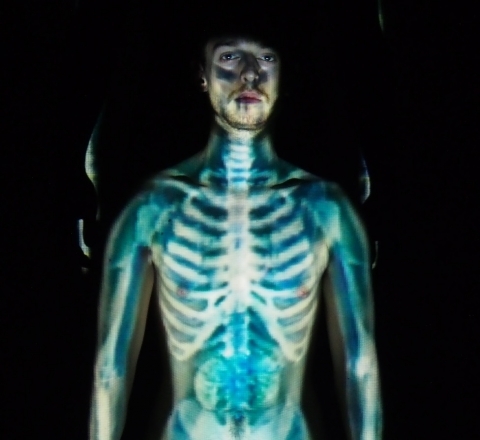 Fieldwork – Unorthodoc Encounters in Arts and Science is seeking proposals for a performance night in March 2014. SymbioticA, at the University of Western Australia, is an artistic laboratory dedicated to the research, learning, critique and hands-on engagement with biological sciences. They are seeking applications for the artist residencies, due 21 March 2014. Bloodlines will be presented on Jan. 7th at 6:00pm at the Royal Central School of Speech & Drama, followed by a post-show discussion. Bloodlines is a performance based on the creators own experiences of being treated for a life-threatening disease. Through sound, digital media and dance, the performance traces the microscopic drama that plays out between Leukaemia and medical treatment in the human body. It draws on composer Milton Mermikides’ experience of Leukaemia and his treatment through a bone marrow transplant donated by his sister, Alex Mermikides (director), exploring both the subjective experience and science of the disease. Bloodlines emerges as the practice as research strand of the Chimera Network, exploring collaborative and compositional strategies of science-engaged performance. It has been performed at the Science Museum London and the Rose Theatre Kingston. More information at Bloodlines. Following the performance there will be a post-show discussion with the creators, composer Milton Mermikides and director Alex Mermikides. To book free tickets please register on the event’s Eventbrite page.